Posed as the lightest DSLR in the EOS full-frame DSLR line-up, the EOS 6D Mark II, a powerful yet compact full-frame DSLR camera promises to propel your images to the next level. 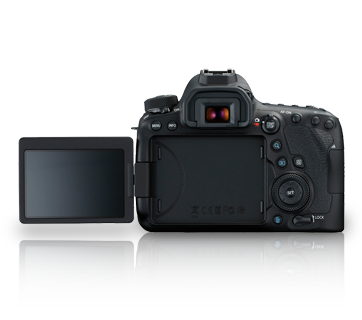 Its 26.2-megapixel image sensor, Dual Pixel CMOS AF, and a Vari-angle touch panel LCD monitor empowers you with the ability to take stunning images and videos, with fast, touchscreen-operable AF and from different angles. Movie digital IS, a 5-axis image stabilization system, is built within the camera for suppressing camera shake when shooting handheld movies — a useful feature especially when recording in quality as high as Full HD 60p / 50p. 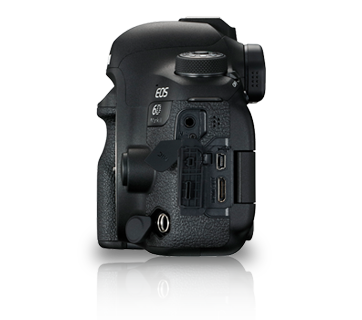 The compact body of the EOS 6D Mark II packs in stunning depictive powers brought about by a 26.2-megapixel full-frame CMOS sensor that has a large light gathering surface, enabling stunning reproductions of tones in scenes with rich colour gradations such as those that involve sunsets and clouds in the sky. 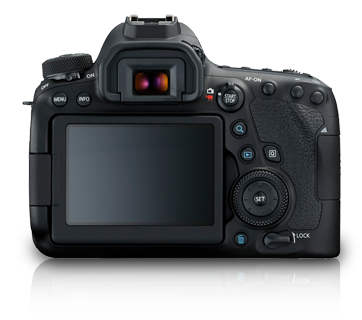 This camera also boasts an enhanced normal ISO speed of up to ISO 40000, suppressing camera shake in low-light conditions for the achievement of sharper images. ISO speed is expandable to IS0 50 and ISO 102400. 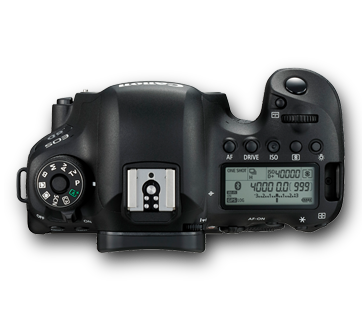 With its 45-point all cross-type AF system and 6.5fps continuous shooting speed, the camera is capable of tracking and shooting fast moving subjects easily. 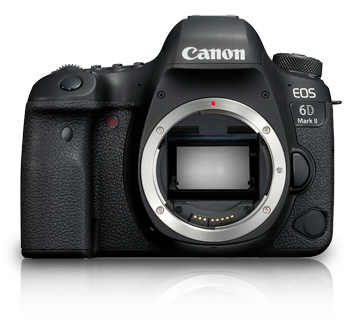 The EOS 6D Mark II is also the first full-frame EOS camera to feature a touchscreen Vari-angle LCD monitor with a focusing area that covers most of the image display area (80% horizontally and 80% vertically), enabling intuitive touchscreen operation of the Dual Pixel CMOS AF system for fast and precision autofocusing. With Servo AF, it is possible taking continuous still shots of moving subjects at up to 4 fps even while carrying out focus tracking in Live View. For shooting movies even in Full HD 60p / 50p, Movie Servo AF allows you to customise tracking sensitivity and AF speed. Movie digital IS, the in-camera image stabilization system, suppresses camera shake to ensure stable footage, even when shooting handheld while walking and when using non-IS lenses*. 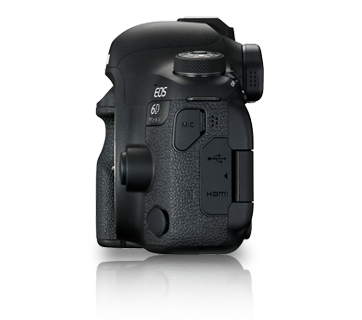 All these, in addition to features such as the ability to shoot 4K Time-lapse movies** and High Dynamic Range (HDR) movies, ensure that the EOS 6D Mark II provides powerful support to artistic expression, even in the realm of movie-making. *Certain lenses do not support Movie digital IS. For details, refer to the Canon Web site. **If you play back a 4K time-lapse movie with the camera, it is played back at the same resolution as a Full HD movie. Also, when a 4K time-lapse movie is played back normally or in 1/1 slow-motion, frame skip will apply. Wi-Fi / NFC connectivity* makes it easy to transfer photo and movie files to a paired smartphone for uploading onto cloud storage or to social media. With NFC, all you need to do is tap the paired smartphone and the camera together to initiate file transfer via Wi-Fi. Compatibility with Bluetooth low energy** provides a low-powered, constant connection to the smartphone, allowing remote shooting and instant switching to Wi-Fi connection when needed without any re-configuration***. The EOS 6D Mark II also features a GPS logging function that enables you to geotag images (including Coordinated Universal Time as well as geographic information), which comes in handy not just for keeping a record of shooting locations (whether it's for work or purely for recollecting fond memories) but also for organizing images by location. *Bluetooth, Wi-Fi and NFC connectivity with the camera requires Canon's dedicated application, Camera Connect, available for download free-of-charge from the App Store and Google Play. For Android, Android 5.0 or later and Bluetooth 4.0 (Bluetooth compatible) or later are required. For iOS, Bluetooth 4.0 (Bluetooth compatible) or later is required (iPhone 4s or later, iPad 3rd generation or later, iPod touch 5th generation or later). ***Establishing pairing beforehand is required. In some cases, an iOS smart device may require operation from the device side.